1. Shutdown state, the magnetic pull, until the red and blue LED light, alternately flashing with the prompt tone and the product will enter into matching state. 2.Open Bluetooth function on the phone. 5. Blue LED light will flash slowly with prompt tone, if the product is paired successfully. 6. In the connected state, it is disconnected automatically while separate the earbuds. 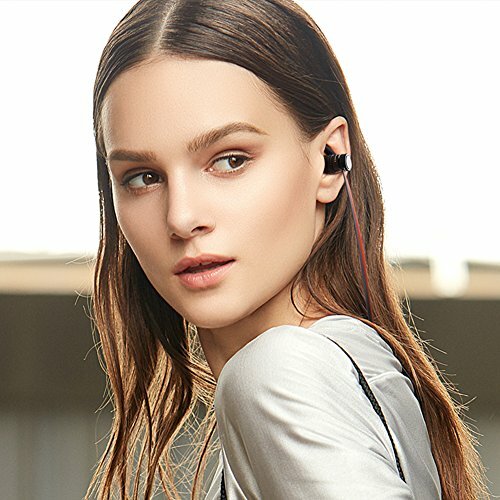 【Dual battery innovative design】: Enjoy about 10 hours of high-quality playback time (full charge of about 2 hours) and standby time of up to 240 hours. If you connect an iPhone, you can display the remaining power of the Bluetooth headset on the iOS system so that you can charge it. 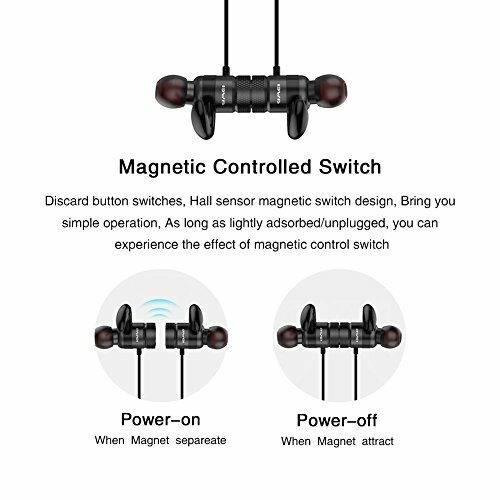 【Magnetic switch】: Built-in magnet switch, when the magnet is separated/attracted, intelligently predicts your needs, without any key operation. 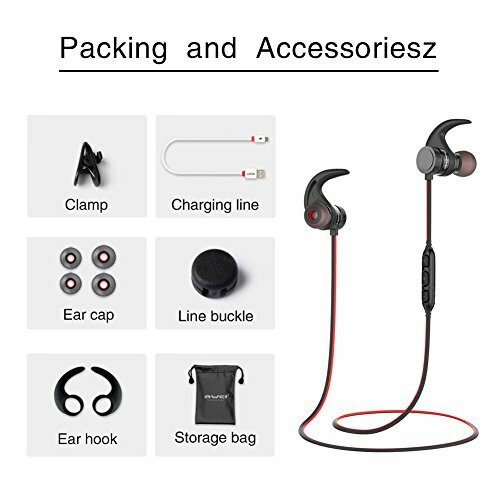 You can connect two headphones together when it not be used and can be worn like a necklace on your neck, which is a convenient way of carrying. 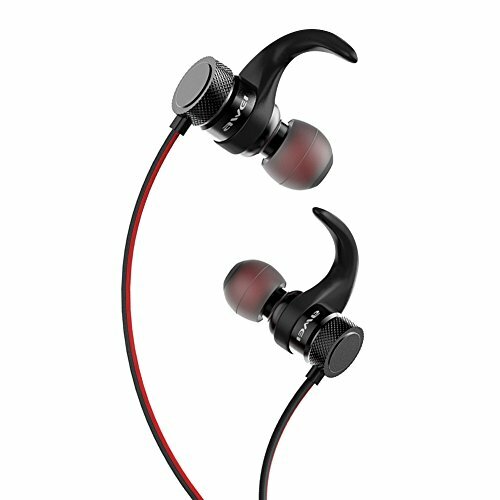 【compatibility】: The latest Bluetooth 4.1 pairing with smartphones. The Bluetooth signal has a stable transmission distance of 10 meters. After the first successful pairing, it supports connecting two devices at the same time and connecting automatically. This cordless headset is compatible with iPhone, iPad and Android smartphones. 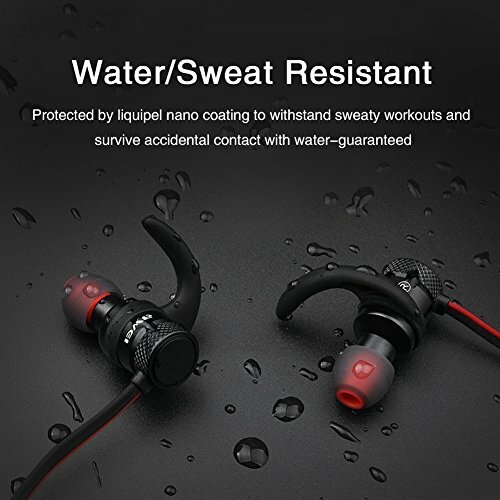 【IPX4& Scene】: The AWEI A920BLS Bluetooth headset uses IPX4 waterproof technology to prevent perspiration, rain or water from penetrating into electronic components, resulting in erosion damage. 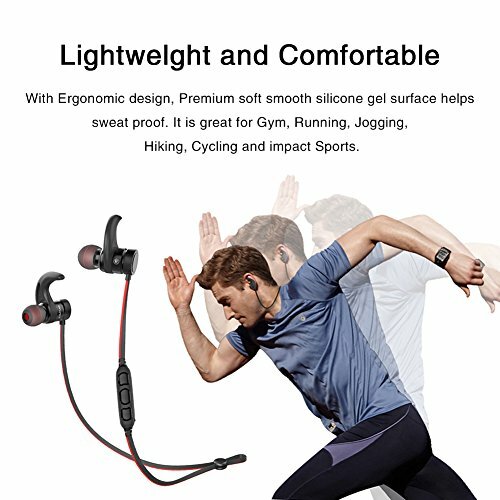 Perfect for running, hiking, yoga, gym, fitness, traveling and etc. 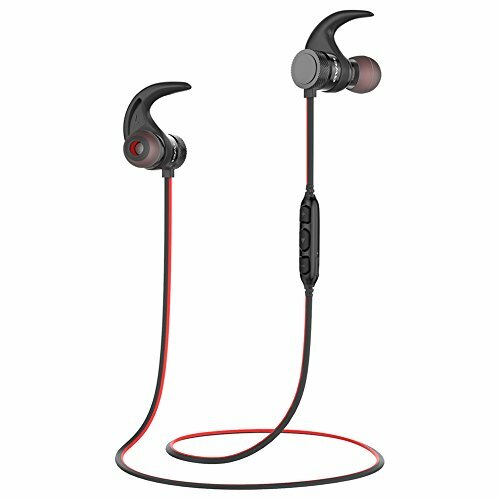 【Intelligent noise reduction】: The AWEI A920BLS headphones uses CVC 6.0 smart noise cancellation technology to reduce external noise. Bring you high-quality conversations, even hands-free.AWEI offers 45 days money back & 12-month worry-free guarantee.